On the first anniversary of the exhibition LIGHT BREAKS, Project Art Lounge visited Michele Schuff in her studio in Atlanta. In addition to a whirlwind of gallery visits and film showings, we also had plenty of time to talk about Michele’s artistic evolution and her ambitious plans for the future. When you think about the bustling art centers in the US, you probably think about New York and Los Angeles. What few people realize is that there are a number of other large and mid-sized cities that enjoy top rankings among artists and critics alike. With an energetic community of artists, galleries and collectors, Atlanta is often found at the top of the list. Given it’s moderate cost of living, affordable studio space and proximity to excellent art institutions, it is no secret that emerging artists love Atlanta. Michele Schuff – who earned a Masters of Fine Arts at Georgia State University – has lived and worked in the Atlanta area since 1997 after moving there from Detroit. Last year she left her job as Historic Collections Manager at the iconic Fox Theater in Atlanta to commit herself full-time to her artwork. Before leaving the company, Michele was instrumental in getting a 50 thousand dollar grant to help the Fox Theater “go green” with environmentally friendly lighting. Let’s hope her collectors are equally generous. Thanks to the ingenuity and architectural creativity of her partner Brian, Michele now has a newly renovated studio to call her second home. This is where we sat down to talk about her work. Michele’s medium of choice is encaustic painting. Her studio is full of bags of wax, pigment and resin that she heats and mixes in a laborious process before applying it to wood and canvas with a hot iron, knives, brushes and molds. Her technique has evolved over the years to the point where some of her paintings are three dimensional sculptures and installations. In her 2007 work “Lux in Tenibris” (Light in Darkness), Michele created a multitude of lanterns out of wax and hung them by piano chord in a darkened room of Atlanta’s Whitespace Gallery adjacent to several celestial paintings in deep blue. As art critic Jerry Cullum wrote in an essay about the show, the “repeated image of lights that are either stars in a night sky or illuminated vessels floating in a richly luminous dark” suggests the presence of an “inner light” which is apparent in much of Michele’s artwork. It was this persistent and fragile warmth that was at the heart of the LIGHT BREAKS exhibition a year ago. In her new studio, Michele has plenty of space to explore big ideas, which is good, because she likes large scale works. A couple of large format pieces hang in the Raffles Hotel in Istanbul, Turkey and we agreed that would be a great place for a Project Art Lounge retreat as soon as we can find the time. For now, Michele is busy planning her next steps. Like other artists, Michele has at times contemplated tossing her art in the trash bin or onto a big bonfire “as a cathartic exercise to liberate myself from the past”. She’s also thinking about venturing into new mediums and smaller formats. In the past, she has created beautiful works on paper and mixed media, including an exciting new project that reveals Michele’s wild and crazy side. Without giving too much away, Michele says she’s “burning for a fresh start”. Burn permit or not, Project Art Lounge is anxious to see what Michele comes up with. 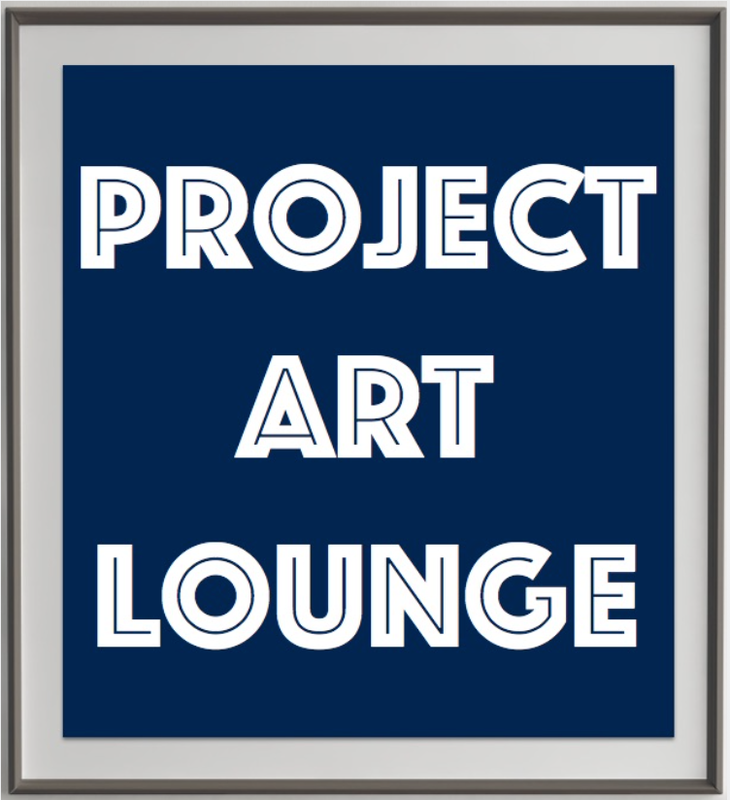 If you are interested in learning more about her work, you can visit Michele Schuff’s Artist Page on Facebook or her profile on Project Art Lounge. This entry was posted in Artists, Events, Review and tagged Michele Schuff, Studio Visit.